HollyElmore.com is a collage of Holly’s eclectic professional endeavors along with available contracted services. Passionate and driven, Holly founded Elemental Impact (Ei), a prominent national non-profit dedicated to corporate sustainability, in 2010 as the home for the Zero Waste Zones (ZWZ). Launched by the Green Foodservice Alliance, an affiliate of the Georgia Restaurant Association founded by Holly in 2008, the ZWZ were the nation’s forerunner for the commercial collection of food waste for composting. In 2012, the National Restaurant Association purchased the ZWZ. Through the Sustainable Food Court Initiative Pilots, Ei focused on important work within the Product Stewardship, Recycling Refinement, and Water Use | Toxicity Platforms. In July 2017, Ei announced work within the Recycling Refinement platform was Mission Accomplished; the Zero Waste in ACTION Blog article, Soil Health: regenerating the foundation of life, announced Soil Health is Ei’s primary focus, with Water Use | Toxicity playing a strong supporting role. Recycling Refinement expertise is available through HEC Consulting detailed on the At Your Service page. First and foremost, Holly is an astute business person. Holly started her professional life at Arthur Andersen as a CPA | auditor and segued to Controller for Trammell Crow Company Southeastern Division. After nearly seven years as a corporate steward, Holly created Executive Catering & Events, a prominent corporate catering company. Over the next fifteen years, Holly operated Executive Catering along with two successful restaurants in the Atlanta market. Holly served on the Atlanta Restaurant Council Founding Board, which years later evolved into the Georgia Restaurant Association. When crafting pilots and program templates, Holly ensures the foundation makes “good business sense” for the participants, supplier companies, the community-at-large and the environment. Holly’s staunch foodservice industry expertise coupled with her corporate accounting | finance experience are an equation for success. 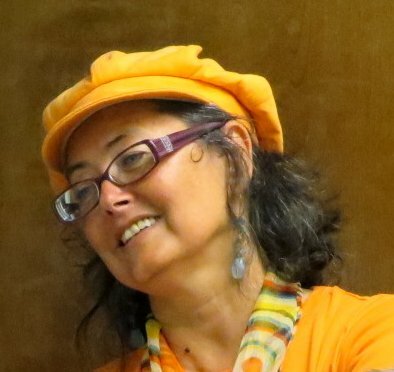 Beyond her strong oracle experience detailed on the Ei Speaking Engagements page, Holly is the author of the prominent Ei on-line magazines – The IMPACT and Zero Waste in ACTION – along with the cousin blog Sustainability of the Spirit. In addition, Holly wrote the Ei website content. Complementing her oracle and written communication, Holly is a storyteller who grounds important project | business documentation with her photography skills. Over 200 Ei FB Albums support the Ei on-line magazine articles and document the important work in a time-stamped fashion. Holly’s nature & urban photography is organized in a series of galleries at HollyElmorePhotos and in Holly Elmore Images FB Albums. One of Holly’s talents is “seeing” interconnections within creative chaos necessary for the structure to ground into tangible action. Using her profound communication skills, Holly is a master at simplifying complicated scenarios into manageable segments with associated detailed, chronological tasks. Although Ei is her primary professional focus, Holly is available for contract work. The @ Your Service page gives details.